Promotional value expires 60 days after purchase. Amount paid never expires. 45-Day Hulu Limited Commercials subscription deal requires a purchase of $0.00 and does not expire. New subscribers only. Offer valid for Hulu’s Limited Commercials plan only. Limit 1 per person. Limit 1 per customer and account. Claim codes cannot be resold, transferred for value, redeemed for cash, or applied to any other Hulu account, except where required by law. This promotion may not be combined with other offers. To redeem, must register credit card with merchant. After the 45-day promotional period, plans will automatically renew to $7.99 a month, unless canceled with merchant. See Hulu’s terms and conditions. Merchant is solely responsible to purchasers for the care and quality of the advertised goods and services. Hulu is a premium streaming destination that offers exclusive seasons of hit TV shows, acclaimed Hulu Originals, movies, current episodes, kids shows, and more – all in one place. 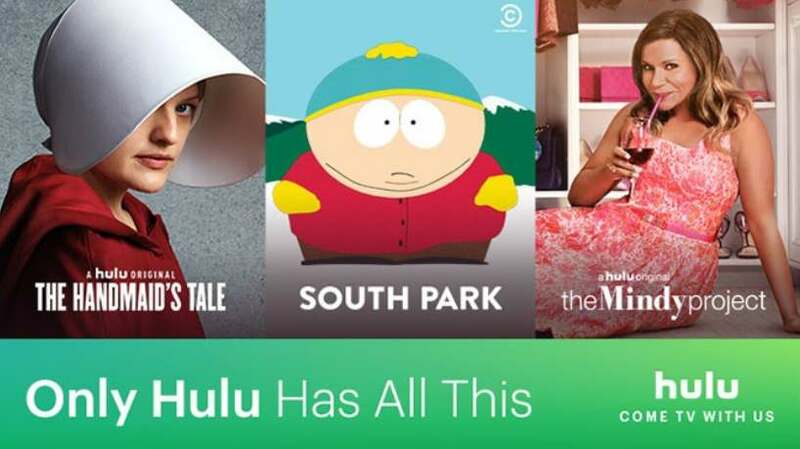 Hulu is the only streaming subscription service that offers current episodes from some of the largest U.S. broadcast networks, as well as acclaimed Hulu Originals including The Mindy Project, The Handmaid’s Tale, The Path, Difficult People and the Golden Globe® nominated comedy series, Casual. Hulu also offers a wide array of kids shows, documentaries, anime, and much more.